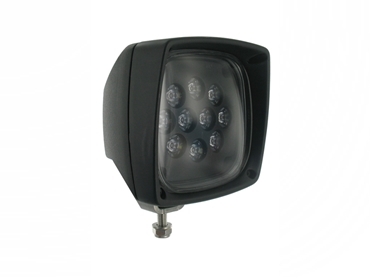 APS Lighting & Safety will unveil new LED work lighting products on Stand 3005 at AIMEX. "We will be showing new and innovative mine lighting and safety products that offer vast improvements in safety and productivity at a reduced cost,” Rick Meehan, regional sales manager of the WA-based company stated. "LED lighting has overtaken HID work lights both in terms of durability and output and we will show AMEX visitors the difference." APS's 2013 LED range is spearheaded by the ABL 3000 and 5000 mining series, JW Speaker XL new high output mining series, Phoenix Sturdilite LED range and Vision X's new MXL mining series. “Each brand offers its own unique features and is well known for durability, quality and acceptance in the mining industry,” Meehan said. He said the new models offered complete AC and DC voltage lighting solutions for heavy equipment and hazardous locations. Key Models included the ABL LED5000, Speaker XL-7150, VisionX MXL-540 and Phoenix ModCom Hi 300W LED fixture. APS's safety division will also launch a new Preview Plus integrated blindspot safety system at AIMEX. This used pulsed radar technology to overlay a proximity alert on an in-cab monitor, resulting in less clutter and more safety, Meehan said. New Preco SRS multi-frequency 102db and 107db multi-frequency alarms will also be shown at AIMEX, along with a white noise alarm addition to the Preco alarm and LED beacon range (MF107 and MF102). It is an authorised wholesale distributor and importer for JW Speaker, ABL, Phoenix Products, Vision X, Preco, Preview and True North Gear.